El Calafate is like a ski town in the middle of nowhere. The obvious attraction is the glacier, but I like renting a car and driving to the some of the out-of-the-way spots for a picnic or just to hike around a bit. We were there for Christmas Eve and it was kind of hilarious. We had a special holiday dinner in a Chinese Buffet that had stuffed animals spread around. It looked like a cross between a saloon from the wild west and a nail salon in china town. Good fun though and the the little town even surprised us with a small fireworks display. Although the picture for El Calafate is actually the Perito Moreno glacier (spelling mistakes abound here, I'm sure, and thus apologies), it makes sense - the town exists because of it. Spend a day or two here at most, and use that time to go to the glacier. The rest of the time can be spent in the town, which becomes exhausted in less than a few hours (note the casino, a few restaurants, and some solid touristy shops make up the bulk of the 'to do' list). Note, however, that getting money can be hard here - ATMs run out, so when they're full, stock up. Argentina was one of my favorite trips, and El Calafate was the highlight. Had the best chocolate of my life there too ! 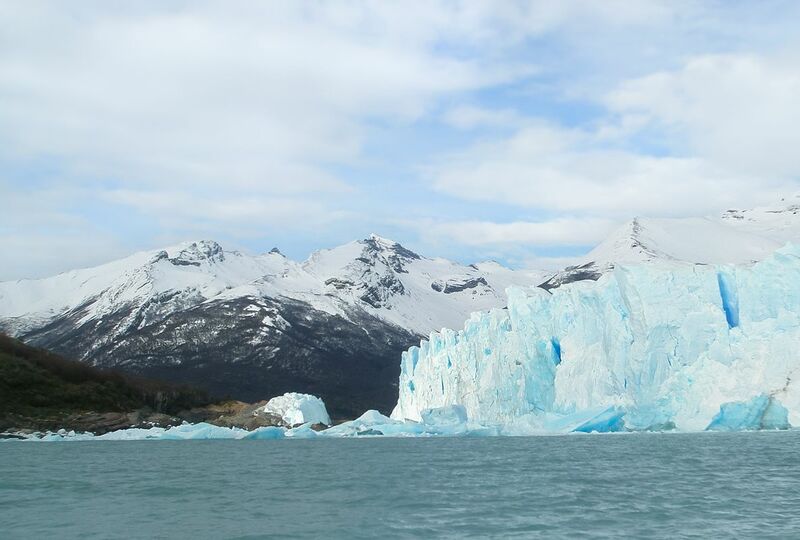 The jumping off point for the Perito Moreno glacier. El Calafate's downtown is full of restaurants, hiking gear and travel companies. I really like El Calafate for its laid-back, ski town sort of vibe. There are a lot of tourists here, but when we visited in early-April, they were almost all Argentinian, which made it feel much different than had it been teeming with other Americans or Europeans. The Parque Nacionale Los Glaciares is nearby and is obviously totally amazing, but the town itself has plenty of things to recommend it, including some great restaurants, a fantastic chocolate and ice cream shop, and a few wonderful stores that transcend tourist kitsch for authentic native art and wares.